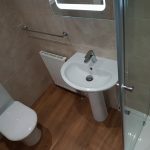 After completing our customers main bathroom they asked us to do their en-suite. 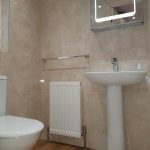 They chose a gloss travertine effect ceramic tile & oak Polyflor Camaro flooring. 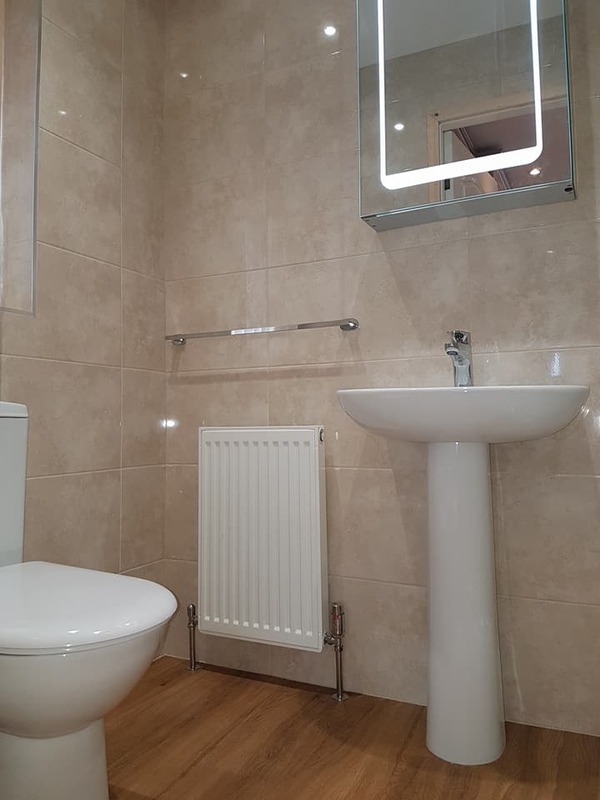 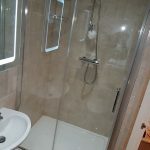 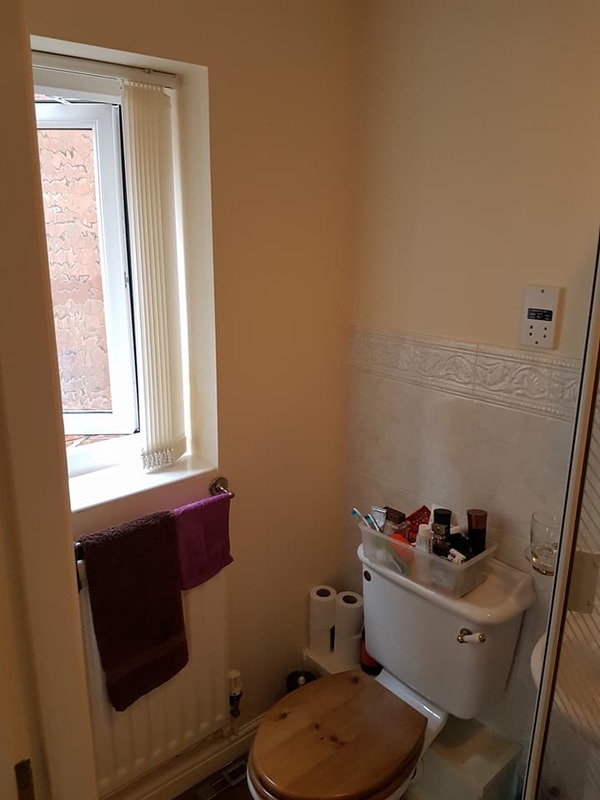 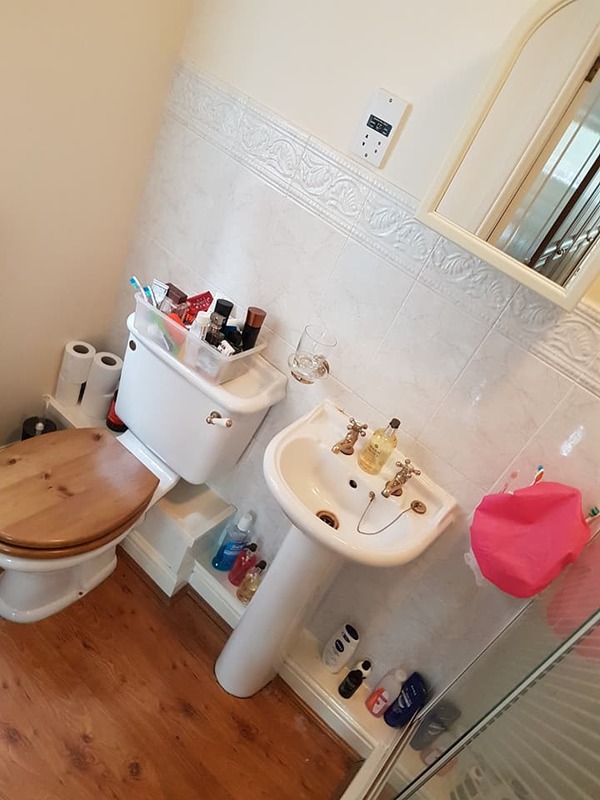 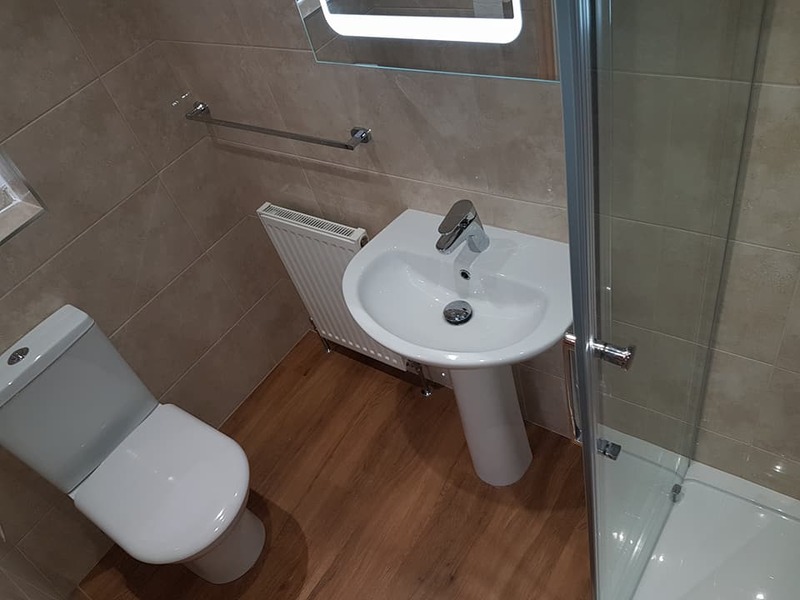 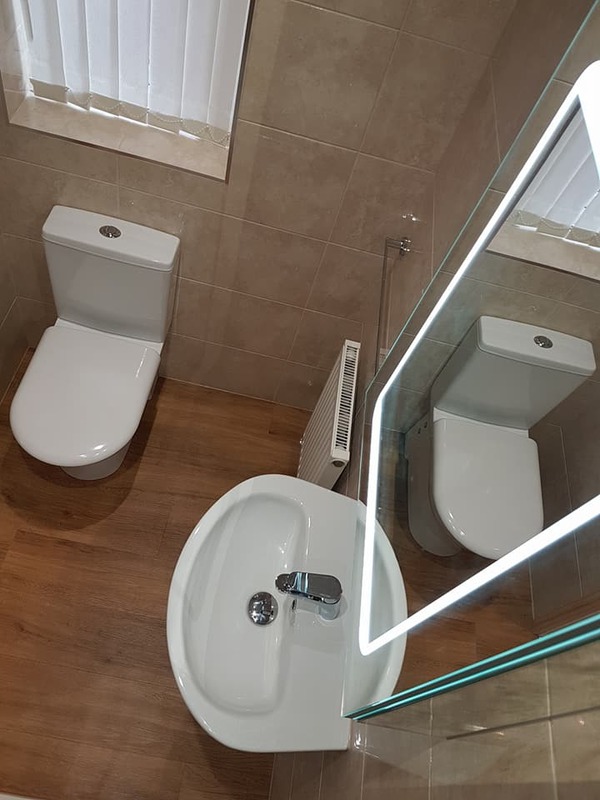 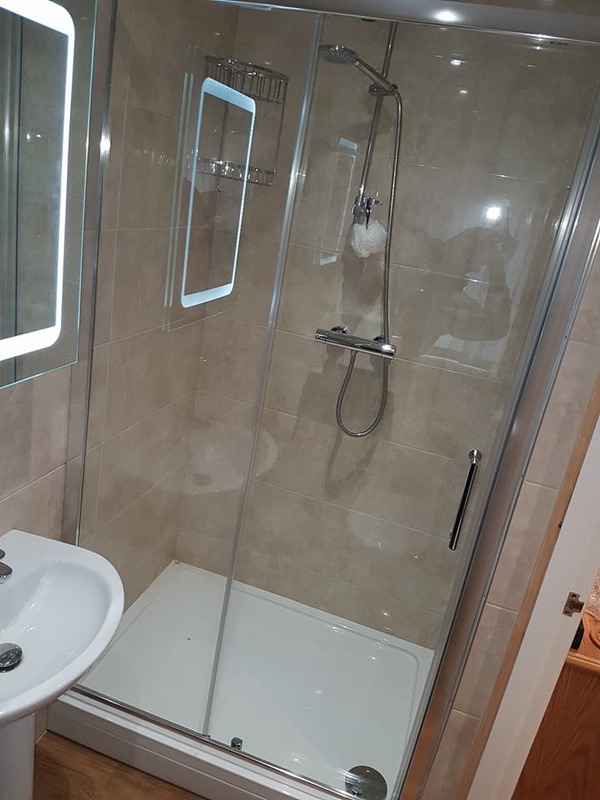 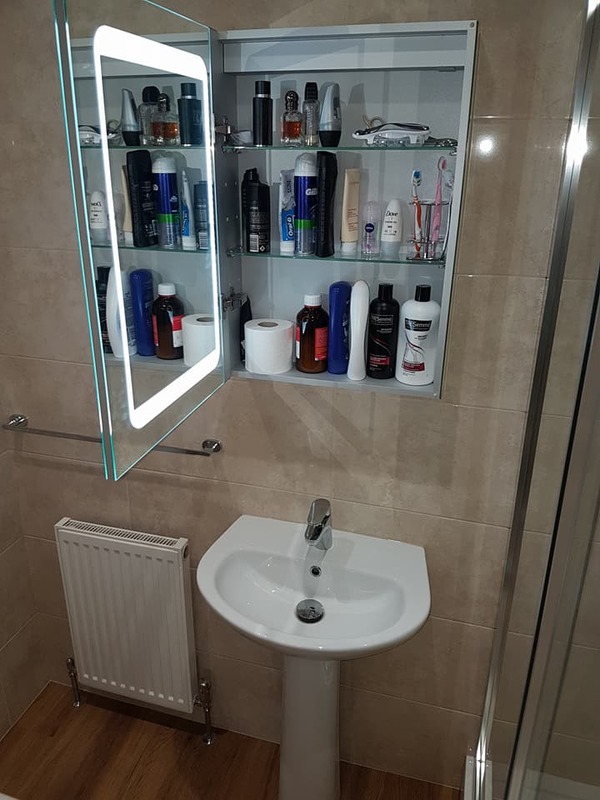 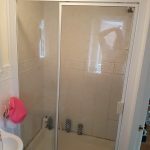 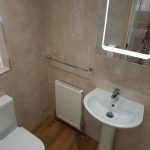 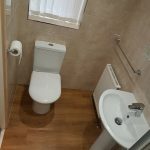 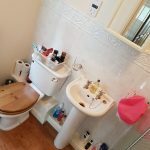 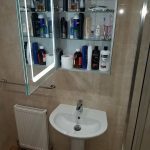 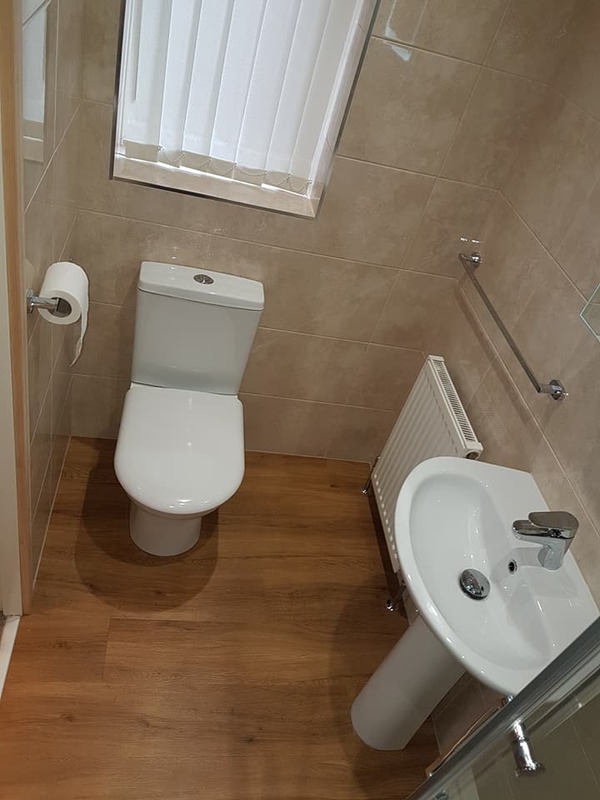 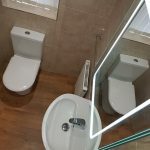 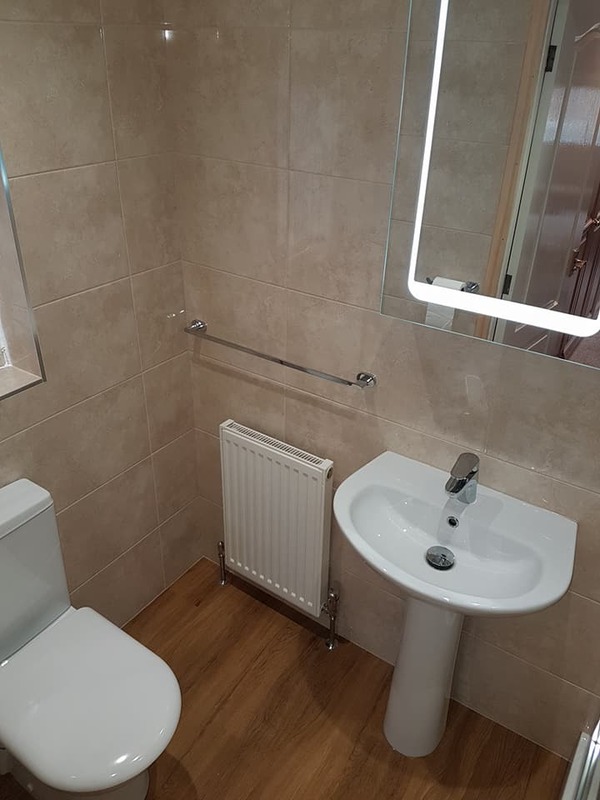 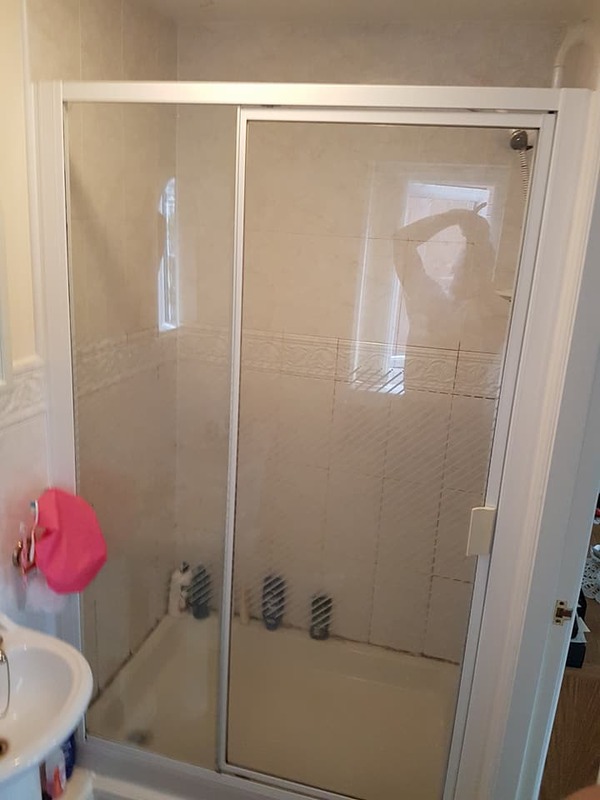 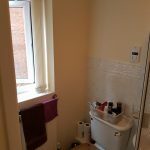 We completed re-piped & got rid of the ugly pipe boxing & renewed all electrics… Gloss white ceiling panels were fitted, 1000×800 shower tray with sliding door, Sensio LED mirrored cabinet, Vado shower valve, brassware & accessories… Looks great!